Recently I crossed a statistical finish line and officially became a cancer “survivor”. Sadly, only 43% of women with ovarian cancer in Australia (compared with 90% of those with breast cancer) hit this milestone. Being alive five years after diagnosis without any cancer recurrence is even rarer. My survival has a lot to do with luck. My cancer was caught earlier than most women and diagnosed within hours of seeing my GP. Physical recuperation from treatment and rebuilding my life afterwards took time. Natural therapies, exercise and an oncology psychologist strongly helped my recovery. But it’s been a huge process. How long does it take to recover from chemotherapy? Everyone undergoing cancer treatment wants to know how long it will take to get back to normal afterwards. It’s a more time-consuming process than many of us expect. The standard responses from oncologists often range from a couple of weeks for the white blood cells to bounce back, or a couple of months for your energy to recover from chemo or radiotherapy. But most people recovering from cancer tend to live with a ‘new normal’, not quite their old self, for many years after finishing treatment. Naturopaths who work with oncology patients have observed the bioremediation (cellular recovery) taking at least 18 months and often longer. You might look “normal” but still feel tired, mentally foggy or have an upset gut. At a biological level, it takes more time to recover than merely having some blood test results regarded as normal. Chemotherapy impacts every part of your body, indiscriminately targeting both healthy and rogue cells. Although research into the gut/brain axis is relatively new, evidence is emerging that the cognitive impact of some of these drugs is apparent twenty years later. This is due partially to the disruption of the microbiome in the gut, affecting memory, concentration and mood, as well as cascade of physical symptoms. The psychological impact of cancer and treatment takes most people many years to traverse. For some, emotional recovery only begins once physical wellbeing improves. Not everyone can fully recover physically or mentally from their cancer experience, or indeed survive. But in my experience, adding specialised oncology psychologists and naturopaths, to work with your team, can make a huge difference. From an evidence-based perspective, the sooner the microbiome is repaired, the faster the mind and body can heal. Being alive and well five years on from diagnosis, is a balm like no other. While the fear of recurrence has receded, it never goes away completely. For many who experience cancer, there’s often a catchcry that the illness won’t define or change us. Of course any major life experience, positive or negative, inevitably will. 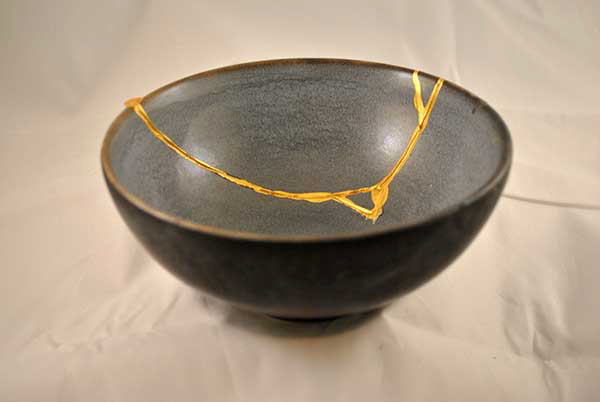 The Japanese art of kintsugi – exquisitely repairing broken ceramics with gold – creates beauty from damage. Healing from any kind of illness and injury can be like this. We grieve losing the self we were before our body was altered. With help, we may find some internal “gold” to begin the repair. As time goes on I feel myself mending some of those figurative scars with gold spun from good care and therapy. But that’s not about minimising or glossing over the trauma, the cracks are real. No one chooses to be “broken”. While my literal scars don’t share the beauty of the kintsugi objects there’s something in the human psyche seeking a positive narrative to make sense of negative experiences. 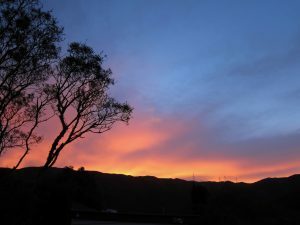 My lived experience of cancer and conventional treatment has inspired changes in the way I work naturopathically with clients who have cancer and other life challenging conditions. Having a deep understanding what it’s like to be an oncology patient, navigating the hospital system and living with episodes of debility and fear has given me more than just additional empathy. During treatment there was an opportunity to explore the best way to use my skills and experience. It also prompted me to consider my path in life. In a worst-case scenario of not living five years after diagnosis, did I still want to be in clinical practice? If so, what needed to change to make it as rewarding as possible? At this time I grew the practitioner mentoring side of my business, including dreaming up collaborations to run retreats in Bali. I also realised how much I still loved naturopathy and herbal medicine, deepening the passion I have for my work. It led me to explore new way of working more deeply with my clients, near and far. Being in the minority of women with ovarian cancer who have the privilege of reaching this milestone, I don’t take life for granted. Unfortunately some cancers recur or are incurable. But there’s often a role for a skilled naturopath to support the ‘whole person’, minimise side effects and maximising available energy. Regardless of a cancer diagnosis, we all have cracks in our health at times, providing an opportunity to own them and find the gold we need for repair. Gill Stannard is a naturopath and herbalist who has been helping people for over two decades, to recover from conventional treatment or live with cancer. 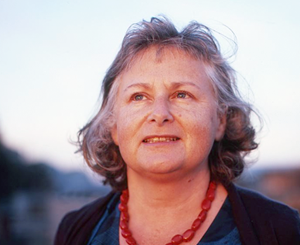 You can work with Gill in person in Sydney or via Skype around Australia and the world. Heart-filled congratulations from a long-time reader, Health Trip listener and lurker. It’s awful that this happened, but how like you to use the experience to become an even better practitioner and to share the experience with your audience with so much empathy and wise reflection. I have no doubt that your words have and will continue to bring much comfort to others in the position of facing a diagnosis and treatment. Thanks so much for your kind words Kimberley. I feel such a responsibility as a ‘survivor’, when there are so few of us who are. Feel Please share the article if there’s anyone you know who it will help. Gill, I have been binging on these. It is coming up to Emma’s anniversary and I have been a little shaky and finding all these odd things about her jumping out at me. For example her fav flower calendula (which I have never been able to grow in my vegie patch due to too much shade), wont stop flowering – I have enough to make oil! The baby wrap she lent me (and I never got around to returning) fell out of a cupboard, and I have made a new friend who has the same grace and gentleness as her. I also connected a little with Clara from our group and have been delighted to find she practices in a very similar way to dear Emma (I havn’t told her this). Ive also found it really hard to stay connected with her husband and kids and am disappointment in myself for this, but know I needed a bit of space after she died and also that as a friend of a terminal person that I was pretty burnt out after helping her die. So I’ll work towards healing some of these cracks with emotional gold and possibly even see a counselor myself. Thank you dear Gill for posting honestly and for helping me through that difficult transition back to work last year. Grief changes you, but you learn a heck of a lot. Big virtual hugs Sophie. Anniversaries can be very hard. If nothing else, they’re unpredictable. Be gentle with yourself at the moment, grief is a wave that you ride (and inevitably it dumps you hard or soft). I like making a little altar – maybe a photo, herbs and the baby wrap (whatever feels relevant to you), as a visual reminder for you (and your family) that this is a tender time.